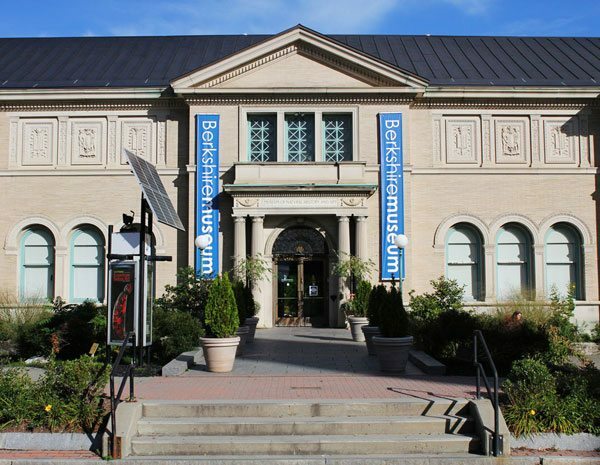 Justice David A. Lowy of the Massachusetts Supreme Judicial Court approved the sale of up to 40 artworks from the Berkshire Museum, reports Colin Moynihan in the New York Times. The justice’s order upholds an agreement reached between the museum and the Massachusetts’ attorney general in February that permits the museum, subject to some restrictions, to sell up to $55 million of art at auction to ensure the long-term preservation of the Pittsfield museum. Among the restrictions, the most valuable painting in the collection, Norman Rockwell’s Shuffleton’s Barbershop, will be sold to a nonprofit museum; also, the remaining art is to be sold in three tranches. Conceivably, the cap might reduce the total number of artworks sold. NPQ has broadly covered this case, which raises critical issues that extend far beyond the 40 artworks at issue or the city of Pittsfield. Among these are donor intent, museum management, the board’s stewardship role, and under what limited conditions does “deaccessioning” art—i.e., taking art out of the public domain and selling it on the private market—become permissible. The agreement reached with state attorney general is based on the doctrine of cy pres or “as near as practicable.” In short, the state attorney general’s office ultimately accepted the museum’s contention that selling the art work was an acceptable remedy for preserving a strong nonprofit museum in Pittsfield, a postindustrial city in western Massachusetts of roughly 45,000 people. Last month in court, the museum, through its attorney William Lee, offered a very different picture: “This is a museum that is providing a science program for under-resourced schools that can’t provide science programs. This is a museum that is providing a portion of the population that lives below the poverty line with their window to the world”—a phrase, noted ArtNews, that comes from museum founder Zenas Crane, who founded the museum in 1903. Lowy’s decision likely ends the legal case. Michael Keating, who represented a group of Berkshire County residents challenging the sale, said to an Associated Press reporter that the justice “has now spoken. We have to respect that decision.” That said, Larry Parnass in the Berkshire Eagle notes that attorney Nicholas O’Donnelly, who represents three Lenox residents fighting the sale, is pursuing an appeal that denied his clients legal standing to pursue their claim. What happens next? Barring the equivalent of a completed legal Hail Mary pass, the sale of art works will commence this spring. In response, some art-sale opponents have said they will pursue a “Rockwell Law” to create a higher legal bar for future cases. At present, notes Raymond Jacoub, a Pittsfield attorney, existing law gives broad deference to nonprofit boards, a point seconded by Courtney Aladro of the state attorney general’s nonprofit law division. The Wealth Gap as Reflected in Gifts to Universities: Is There a Crowd-Out Effect? Another reason to worry about the phenomenon of mega-gifts in philanthropy—does it crowd out giving from others?